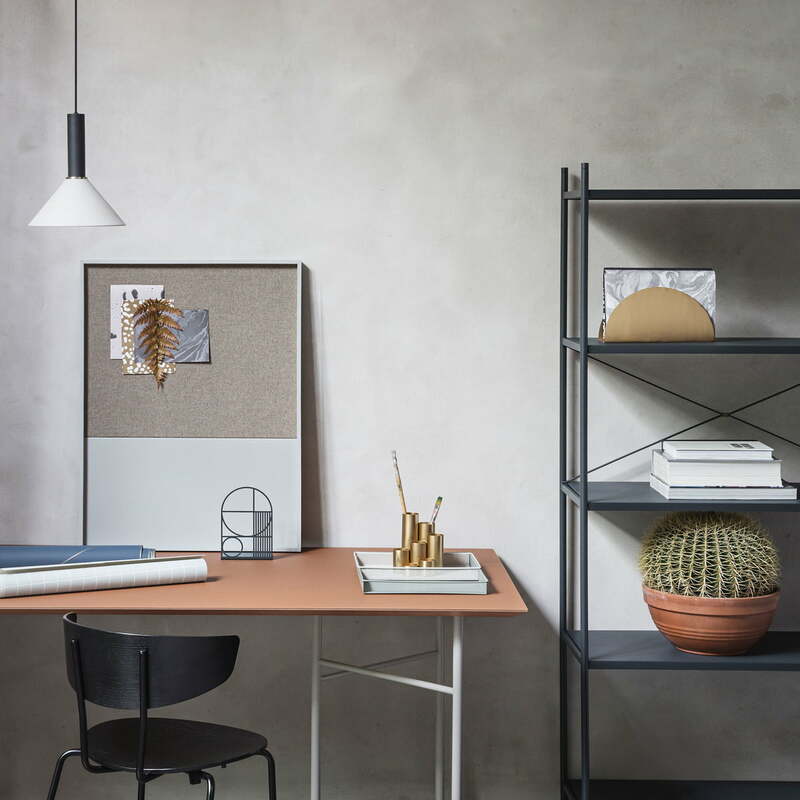 The Frame Pin Board by ferm Living is a new interpretation of the classic cork wall. On the Frame Board, different materials meet in interesting ways. The largest part is dressed with fabric, the rest consists of powder-coated metal and the frame is made of oak wood. The different materials play an important role not only for the design, but also for the usability. Under the fabric, there is a layer of cork so that needles can be used, and on the metal part, notes can be attached with all kinds of magnets. On the wall, there is enough space for important notes, holiday memories, favourite recipes and quotes you would like to put up. The Frame Pin Board by ferm Living can be mounted horizontally or vertically. It consists of cork, powder-coated metal, a layer of fabric and an oak wood frame. The fabric and the powder-coated metal are available in different colours. 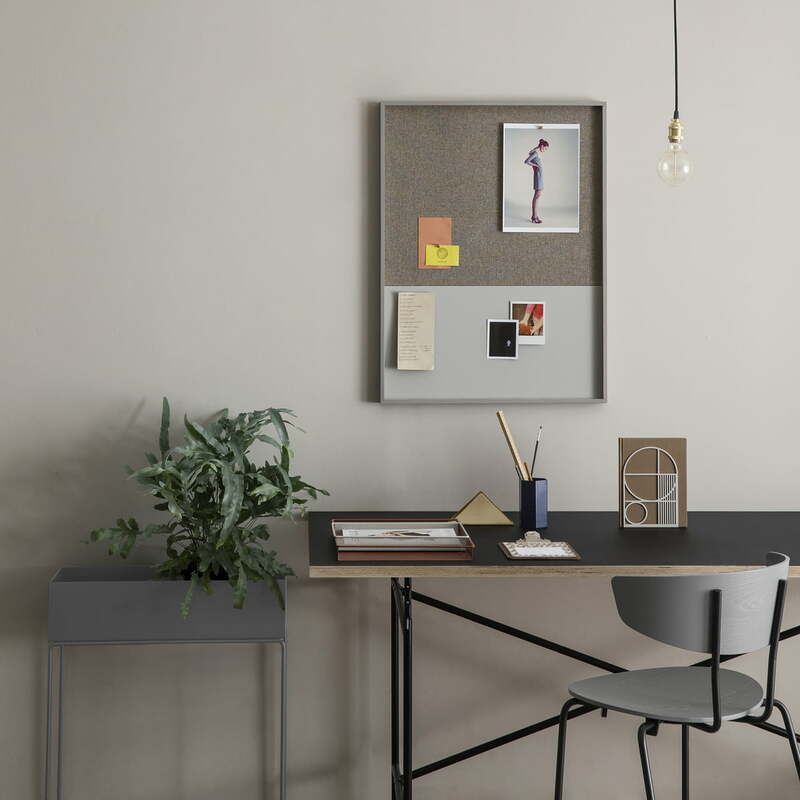 Single image of the Frame pin board by the manufacturer ferm Living in grey. 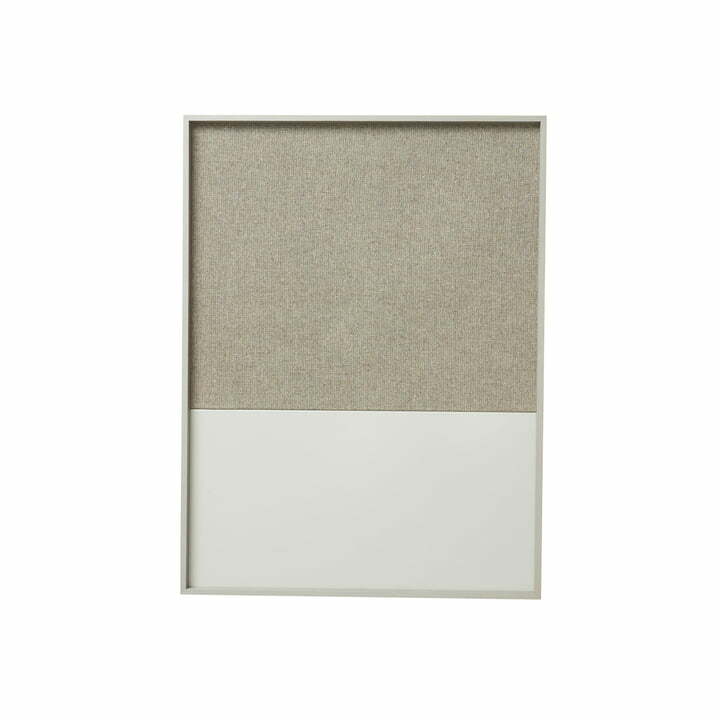 The Frame pin board by ferm Living can be mounted horizontally or vertically. 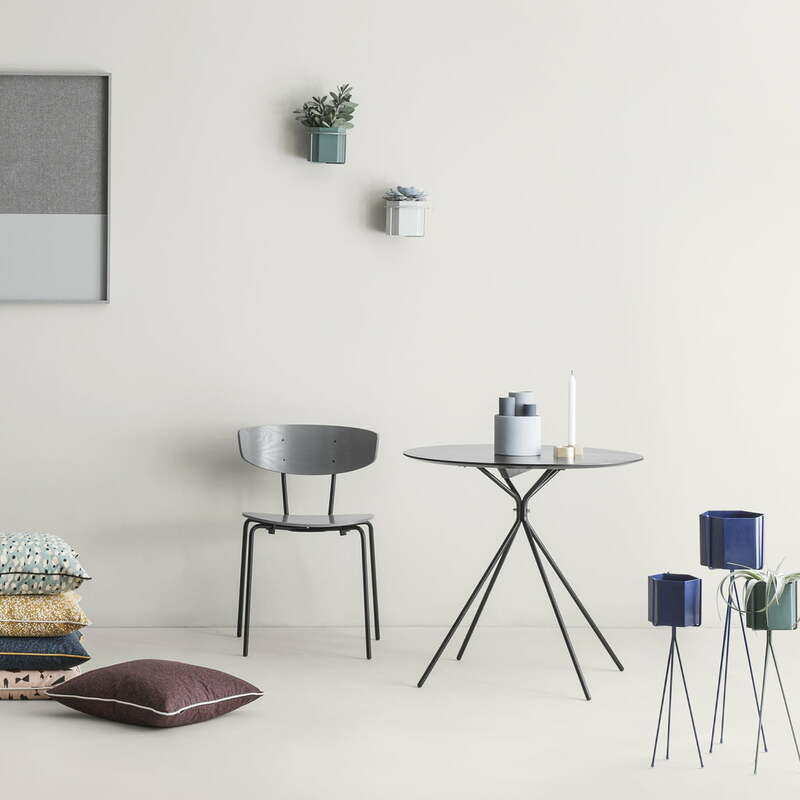 The largest part of the frame pin board by ferm Living in blue is covered with fabric and has a metal part to which notes can be attached with all kinds of magnets. Under the fabric, there is a layer of cork so that many needles can be used, and on the metal part, notes and letters can be attached with all kinds of magnets. 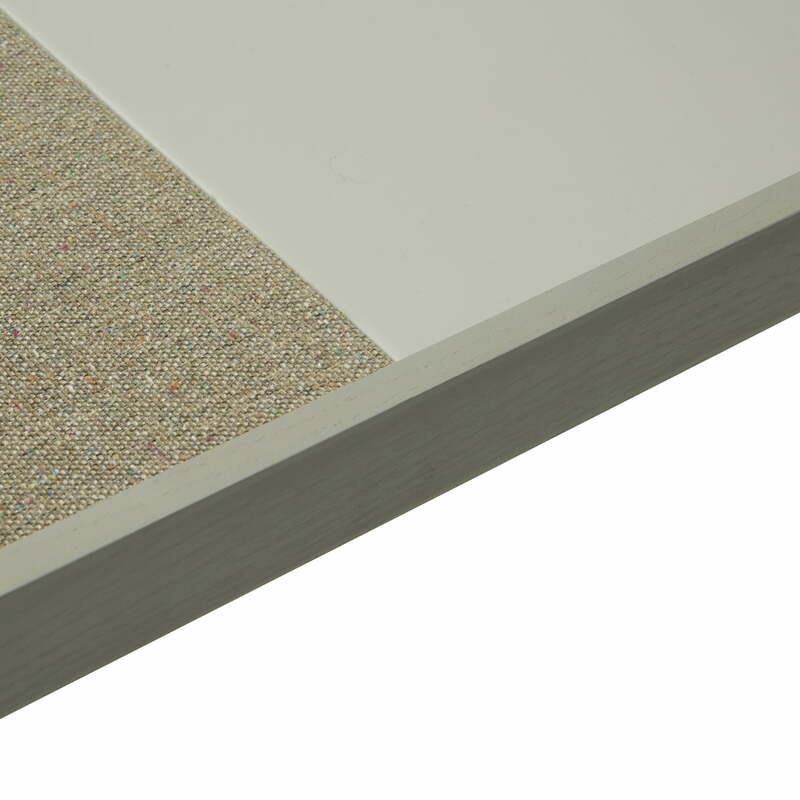 Under the fabric of the Frame pin board by the manufacturer ferm Living, there is a layer of cork on which pins and needles can be used to attach your notes. The Frame pin board by ferm Living is a new interpretation of the classic cork pin board. On the pin board, different materials meet in interesting ways. On the wall, there is enough room for important notes, holiday memories, favourite recipes and quotes you would like to put up. The pin board also makes for great decoration on the wall. Ambience image of the ferm Living Cone Shade Lampshade. Above the desk, the shade is suited particularly well, since it directs the light in a bundle. 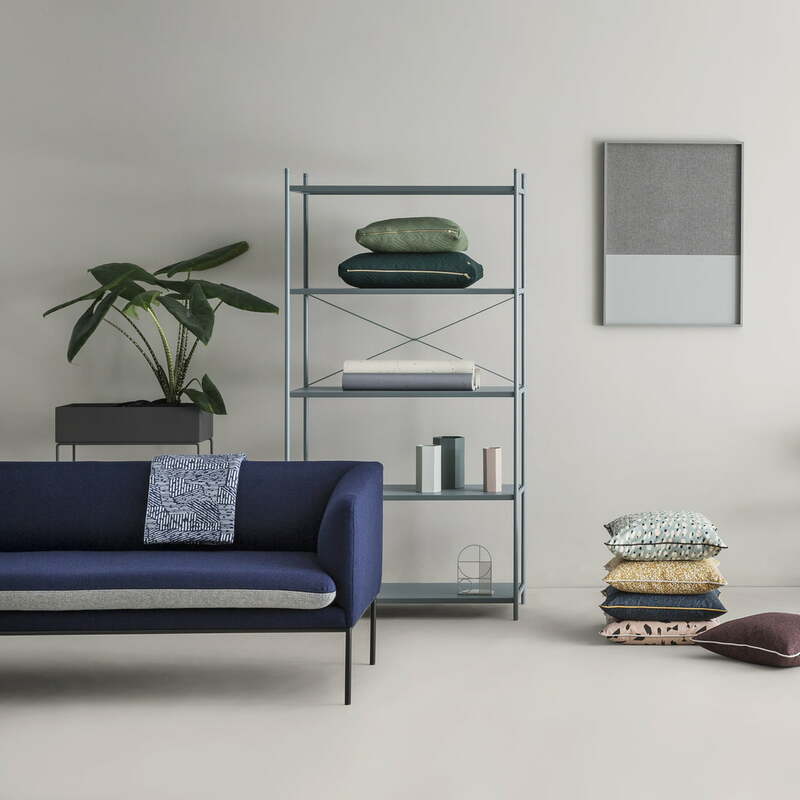 The Maze blanket in combination with the Dottery, Mini Cut, Terrazzo and Arch cushions make a great surrounding for the Frame pinboard, the Punctual shelving system and the Plant Box. The Spotted, Dottery, Mini Cut and Terrazzo Cushions, along with the Hexagon Vases and Flowerpots in the Plant Stand and the Vases Set, create a harmonious image next to the Herman Café Table, the Herman Chair and the Frame Pinboard. 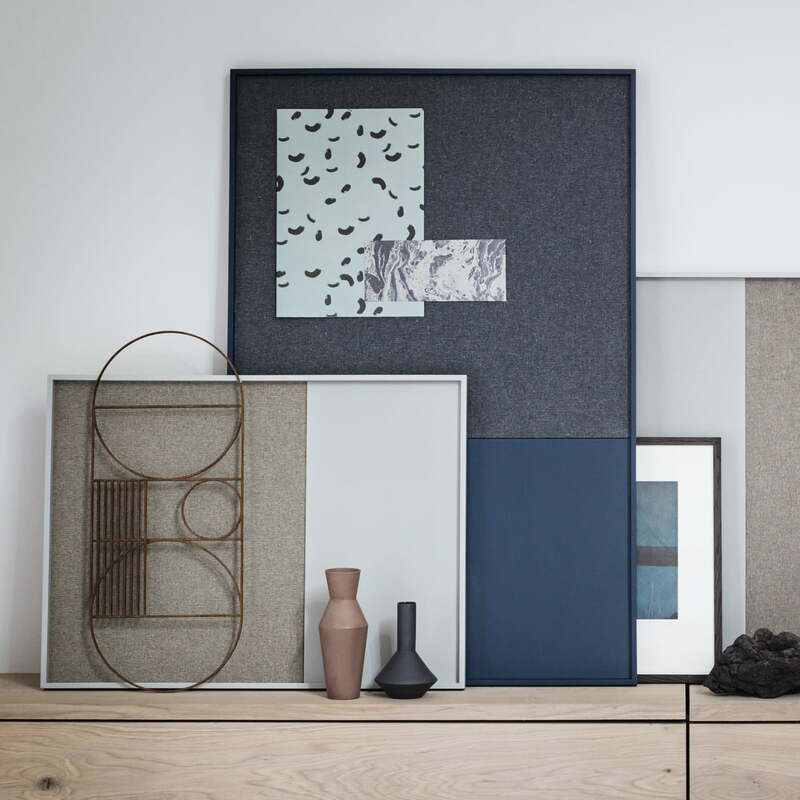 The Sculpt vase, the Frame pin board and the Outline wall decoration are decorative home accessories by ferm Living, which not only look great but are also functional.